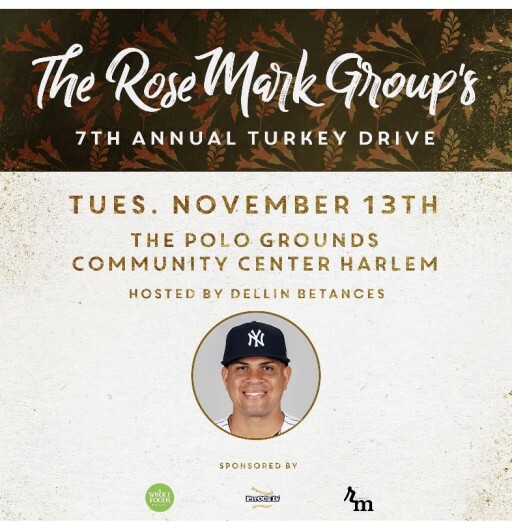 DigitalJournal.com - The Rosemark Group Presents the 7th Annual Harlem Turkey Drive With New York Yankees Dellin Betances & Whole Foods Market — Police Athletic League, Inc. Families this Thanksgiving will not go hungry thanks to New York Yankees Dellin Betances, The Rosemark Group & Whole Foods Market. The event will be held at the Polo Grounds Community Center in Harlem operated in conjunction with The Police Athletic League (PAL).